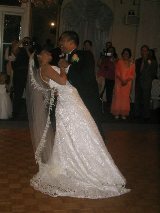 DJ RUDY w RHYTM N RITMO - the LATIN BILINGUAL wedding entertainment authority. Giving you, hit after hit of your favoirite Latin and American music. Make sure you don't miss out booking the entertainment company that YOU want for your wedding event! You can also fill out our Contact Us form and we will get in touch with you. Have the actual printout of our wedding packages, click above. 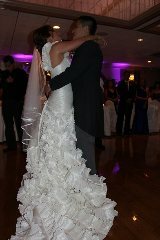 We would like to thank the people at weddingwire.com for putting together this report. You can check out our reviews and yes, request the entire article in PDF format; just let us know in our "Contact Us" page. Have the actual printout of our wedding packages, click above (pdf file). Did you get your FREE 10 Wedding insider secrets yet? If not make sure you do today. A document that every Bride should have when planning her wedding and it's yours FREE! 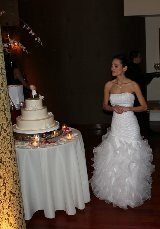 Our best recommendation is to meet with us or any wedding professional personally. The meeting can be at our place, your place or any other convenient place. Fill out the form below and we will let you know about your wedding date availability.